With mobile penetration rates in Southeast Asia rapidly climbing, retailers have increasing room to utilise the mobile platform as an avenue to reach their consumers. 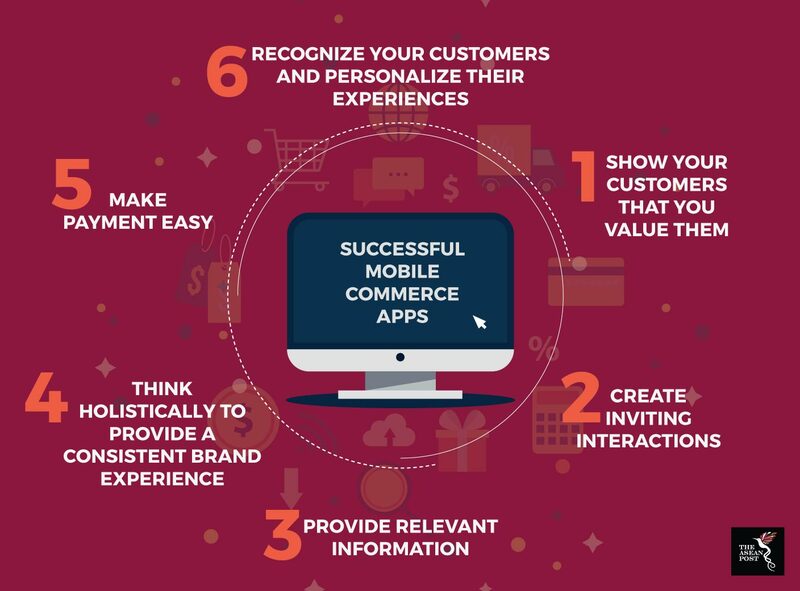 In order to get the best results from their mobile app platforms however, they would have to interact with their customers at the mobile apps that peddle their goods. According to Fung Business Intelligence, modern Asian consumers are tech savvy, highly-connected, experience- and convenience-driven. Since the average customer now has increased access to product choices and market value, they tend to prefer exceptional services and personalised experiences more. This is where the concept of ‘experiential retail’ comes in. It refers to the use of either physical spaces or technology to create customised experiences for the individual customer, based on their particular needs and wants. In designing mobile commerce apps for personalised needs, retailers first need to understand who they are building the app for, in order to tailor its functions accordingly. “A large number of active users of shopping apps are millennials who typically associate online shopping with lower prices, convenience and better value,” said Zhou Junjie, country head of Shopee Singapore. According to a 2017 Forbes report, knowing what precisely customers want is not possible without the use of data and analytics. “No one wants to talk about strategy if you’re not talking about it through analytics,” explained Jawara Partee, national retail tenant rep director of Colliers International to Forbes. A personalised in-app experience, for example, could take the form of a personalised product feed that informs customers about new deals for products that they were previously interested in. In fact, what customers want in a mobile shopping experience may be as simple as a smooth browsing experience, with minimal confusion and the ability to purchase items quickly without fuss or glitches. “Customers expect to be able to do their shopping one-handed while riding the train, so it is critical that things are very intuitive,” Sabrina Tan, CEO and founder of Skin Inc told Retail Asia in 2017. Some of the features mobile shopping apps should incorporate include quick loading, clear utility before requesting for user registration, and effective search indexing, according to the Google report, ‘Mobile Principles of Retail Apps & Sites: Designing a Better Experience for Shoppers’. Leading e-commerce site, Lazada took note of such consumer expectations and revamped its mobile app in 2016 to create a better browsing experience, with improved search results, and better-informed decision-making for shoppers. This was done by employing a clean layout, including streamlined menus and tabs, and using a filter for improved search results, among other reformulations. The redesign has reaped rewards. The Lazada app topped the app charts in 4 out of 6 Southeast Asian markets in 2017, according to a 2017 App Annie report. Cosmetics retailer, Sephora, made changes to improve the speed and flow of its Southeast Asian shopping app interface by integrating PacketZoom software to improve mobile engagement and sales. It soon saw its app begin to run at twice the speed. This was accompanied by an immediate increase in image views by 10%. “Speed is critical to consumers, and yet most developers don’t do as much as they could to improve their app’s speed and performance,” commented Shlomi Gan, CEO of PacketZoom. Retailers should also make use of the latest technology to keep the customer experience fresh. Customers want to have new experiences all the time, and apps are the perfect way to integrate this without spending too much on rebranding. Other key features retailers could incorporate to enhance the mobile shopping experience include in-app integration of a customer rewards program, and a seamless checkout and payments process. Purchases that are easy to complete via mobile are just as easy to leave halfway. Hence, as far as mobile shoppers are concerned, it is the whole experience that matters.